MISSOULA — When he took up the sport of racquetball about a year and a half ago, Peyton Hettick didn’t think it would lead him to giving a speech. 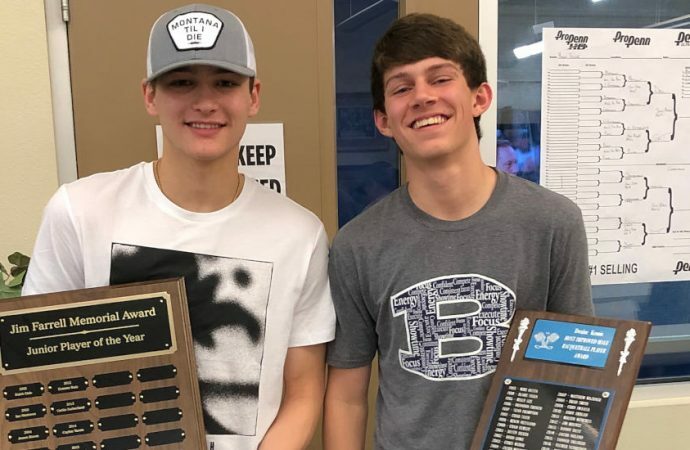 That, however, was the case Saturday night when he was presented the Jim Farrell Memorial Award as the Montana Junior Player of the Year during the Montana State singles racquetball tournament banquet at the Peak Racquet Club. 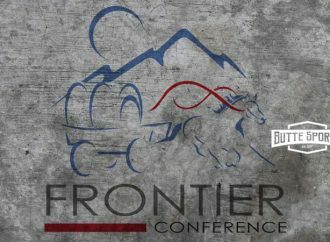 The next day, on Sunday, the 16-year-old Butte boy won a state championship in what turned out to be a good weekend for Mining City players. Butte’s Lori Jurenic won her third straight women’s open title. Jurenic, who also won the title in 2004, beat 2016 champion Marie Hawkins of Anaconda in a 15-4, 14-15, 11-5 battle to secure the title in the round-robin division. Gavin Roesti won the round-robin 14-and-under division title. 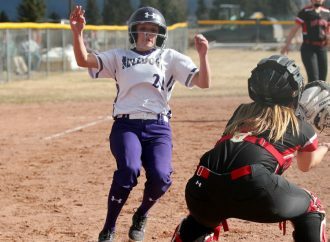 Hettick, a junior at Butte High School, beat Bucky Hall of Cody, Wyoming, in the championship match of the B Division. Hettick overcame a 15-13 loss in the first game. He won 15-7 in Game 2 before winning the tiebreaker 11-0. The tiebreaker victory was the second for Hettick, who need the extra work in the semifinals. Hall edged Butte’s Dawson Roesti, 16, in the other semifinal. Dawson Roesti, by the way, won the Jim Farrell Memorial Award last year. 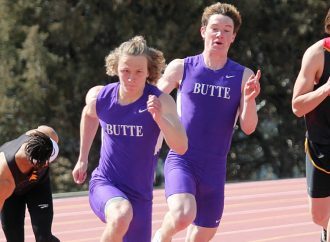 The Butte High sophomore presented his friend with the award on Saturday. The older Roesti, who placed second in the men’s 34-and-under division, also received the Most Improved Men’s Racquetball Player Award at the Saturday banquet. The tournament was just the third ever played by Hettick, who won the men’s B singles title at the Butte Blizzard tournament in February. He also teamed with Brian Hettick to win the men’s B doubles crown in that tournament. The Blizzard tournament in 2018 is the only other tournament Peyton Hettick has played. Now, he has graduated to the A Division by virtue of his state title. 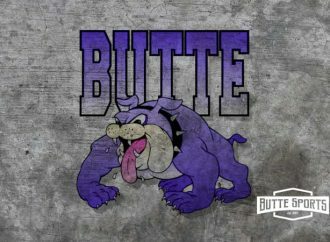 Hettick is also a member of Butte High’s football team. He caught three touchdown passes for the Bulldogs in 2018. Hawkins took home the Sportsman Award.